« Stay healthy for just Shs 40,000…. how nice! The class struggle in Kenya: since Obama Snr.’s death, what has changed really? 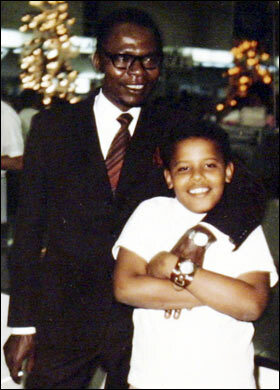 Often so much attention is focused on Barack Obama, the President of the United States, that little is ever said of his father, Barack Obama Snr. However, the late Obama Snr. himself was a very remarkable person, in his own right, albeit with a penchant for the finer things in life; chain smoking, white women and braggadocio. It is not intention however to dissect his life as a person, but rather to put back on the radar his thoughts on Kenya’s economy two years after independence and compare that to today. His musings are erudite, as one would expect of an Obama, and are presented here verbatim as an excerpt from a paper he wrote in 1965, and for which he was sacked and rendered a pariah, as a result of which he sadly died a broken man, given to alcohol and hopelessness. It is my belief the profound questions posed by the late Obama Snr are still relevant today and should give us a benchmark by which to put into perspective how far we have or have not come as a country in terms of economic integration and equitable spread of opportunity. Does the generation of today, well read and informed, but a majority of whom are either underpaid, overworked, underemployed or unemployed, feel the dismissal of Obama’s train of thought (considering that he was then a senior government economist who had trained at Harvard no less) was justified? Have the degree holders actualized their dreams? Do they have access to ownership of any means of production? PS. It is necessary to point out that Obama Snr. was not really an ingrained socialist/communist lackey, his views were contrary to the accepted African traditional socialism — the sort Tanzania had tried with ujamaa–, which stressed communal ownership of major means of production and sharing of fruits of collective labor, so expended in production, to the benefit of all. His views in the same paper advocate issuing of land title deeds and private ownership of land which is itself a crucial means of production. This entry was posted on May 25, 2011, 1:39 pm and is filed under Uncategorized. You can follow any responses to this entry through RSS 2.0. You can leave a response, or trackback from your own site.